Welcome and thank you for visiting our website. We live on the edge of capital city Ljubljana and we have been taking interest in dogs, their training and breeding for our whole lives. 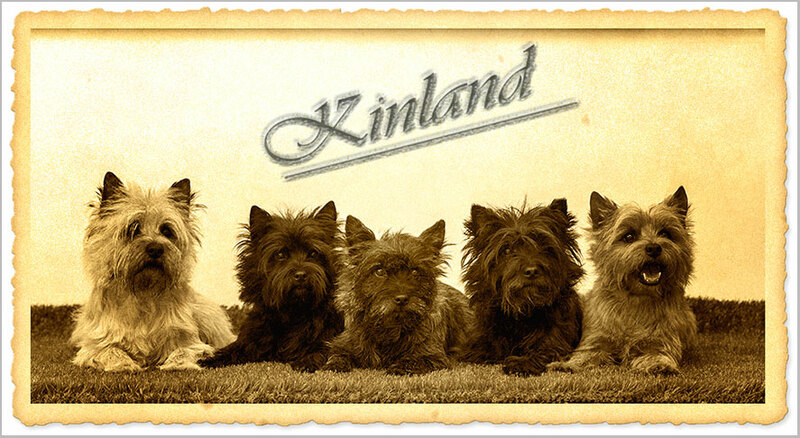 After more than thirty years of German shepherds and Westies we lived to see second spring of our kinology with cairn terriers. Breeding is always a result of carefully planned mating based on expert knowledge, thorough pedigree studies, hereditary illness and qualities here in Kinland kennel. That is the reason why we monitor puppies and their development for at least a year after parturition. Cairn breeding is our hobby as well as relaxation after a busy day and we are practicing it on the highest possible professional level. Our puppy owners are never left alone in trouble as we always take care to find solution and answer to their question. Enjoy in surfing on the waves of our pages. Don’t hesitate to contact us for more information.